These pictures show the mosque of Ghazi Mihal Bey, (I quote Wikipedia): "a grandson of Köse Mihal, whose Mosque complex with Imaret (destroyed) and Hamam (in ruins) is in Edirne and was completed in 1422. 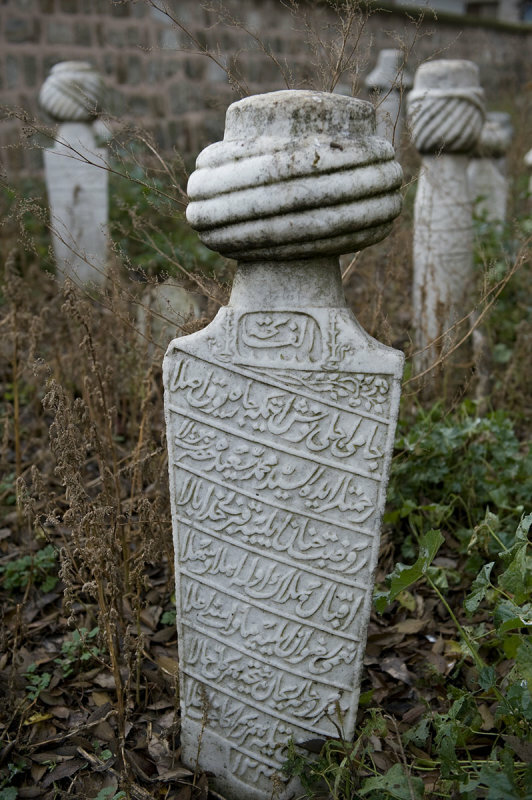 In the adjoining cemetery is the tomb of the founder of Türbe, Ghazi Mihal Bey." I found the text about the grandfather fascinating, so: "'Köse Mihal' (* 13th century; † c. 1340; English:Michael the beardless, and Michael with the goatee) accompanied Osman al-Ghazi in his ascent to power as an Emir and founder of the Ottoman Empire. He is considered to be the first significant Byzantine renegade and convert to Islam to enter Ottoman service. He was also known as 'Ghazi Mihal' and 'Abdullah Mihal Gazi " "
The mosque is a fine specimen of the older kind, with separate rooms to either side of the main hall. And it sits beautifully at the riverside.